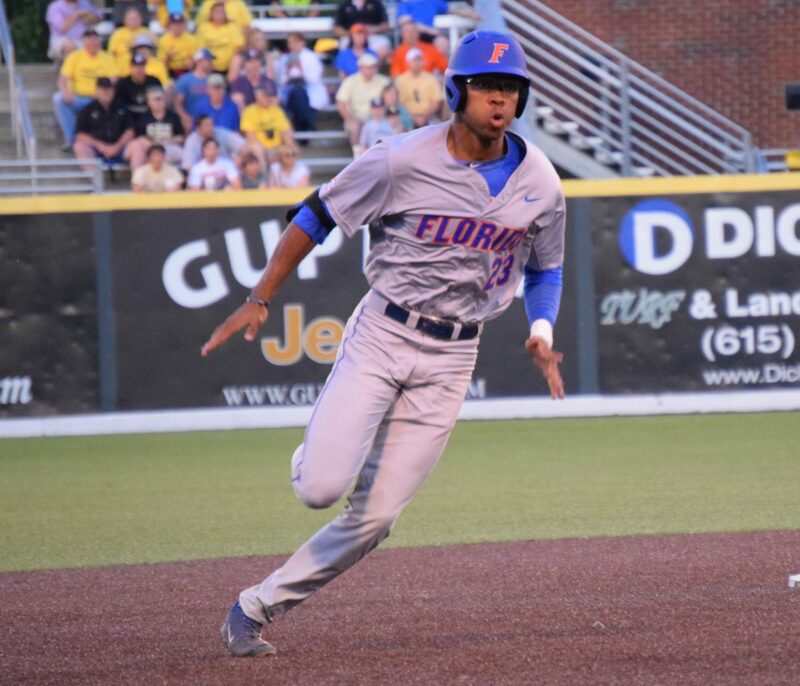 Week Seven is chock full of huge showdowns in college baseball, with none bigger than the pair of top-five battles in the Southeastern Conference. In Gainesville, No. 1 Florida hosts No. 2 Texas A&M, while in Nashville, No. 3 Vanderbilt hosts No. 5 South Carolina. We’ve written plenty over the past few weeks about the Aggies and Gamecocks, so let’s take some time now to check in on Florida and Vanderbilt. Expectations are almost unfairly high for Florida, the consensus preseason No. 1 team in college baseball. The Gators had a stranglehold on the No. 1 ranking for the first six weeks of the season during their 23-1 start, and it was almost stunning when they dropped two of three on the road at Kentucky — even though the last game was an extra-inning defeat that could have gone either way. 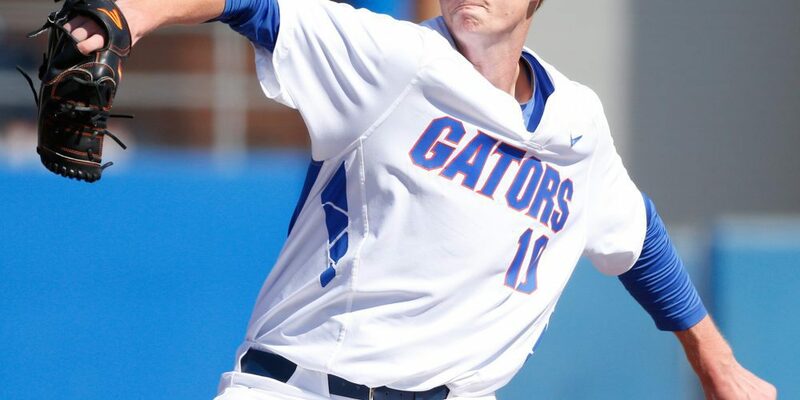 But Florida coach Kevin O’Sullivan said that loss refocused his team, which played with outstanding intensity in Tuesday’s 3-2 win against a similarly focused Florida State club. Now the Gators need to carry that momentum into a huge showdown against No. 1 Texas A&M. Maybe it’s impossible for any team to play with peak focus and intensity every game during a 56-game regular-season, and a postseason that might add 15 more games. And the Gators are good enough to win a lot of games even when they don’t play their best, but O’Sullivan said they have tended to play their best when they are facing the best competition, as they will this weekend. And certainly, there is room for Florida to play even better than it has. Just imagine how scary the Gators will be once first-team preseason All-Americans JJ Schwarz, Buddy Reed and A.J. Puk really find their strides? All three have had their moments and generally performed solidly against a strong schedule, but none has performed at peak levels yet. Schwarz, the powerful catcher/DH, has seen his slugging percentage drop from .629 a year ago to .489 right now. He already has almost as many walks (23) as he did all of last season (28), and he’s still getting used to being pitched so cautiously. Reed’s rate stats are roughly on pace with what he did a year ago — he’s hitting .296/.400/.459 with 12 steals and a pair of home runs. It’s solid production, but those of us who expected him to take a huge jump to superstardom as a junior are still waiting for that to happen. O’Sullivan thinks he’s on the verge of big things. Puk, the towering lefthander who ranked as college baseball’s top prospect heading into this season, has seen his command come and go during a 1-2, 3.49 start to the season, but O’Sullivan sounds particularly confident that it’s only a matter of time before he slides into another dominant stretch like he turned in over the final seven weeks a year ago. His fastball has been explosive, ranging from 94-98 mph, and he has thrown some very good sliders and changeups. He just had one bad inning at Kentucky where he lost his control and the inning got away from him a bit. “Puk’s stuff has been very good — I mean, really good. It’s back to the stuff that people have become accustomed to seeing from him. So I’m expecting him to kind of get on a roll here, I would think,” O’Sullivan said. “The thing with him that a lot of people lose sight of, we’ve got a kid that came from Iowa, had limited innings coming into the University of Florida. The delivery needed to be overhauled, needed a lot of cleaning up. That in itself, his first year at Florida, the whole year was dedicated to cleaning up the delivery, getting angle to his pitches. Then his sophomore year comes, now let’s advance to, let’s understand the importance of fastball command, let’s try to refine this slider, and let’s try to slow the ball down and learn a changeup. So the second year was dedicated to pitch development, and also asking him to pitch at a high level in the SEC. Now we’re getting to the point where you’re understanding all the other factors in pitching. Where this kid has started, and where he is now, if he makes the same progression or similar progression in the next three years in pro baseball, you’re looking at a No. 1 starter. Where he’s come in such a short time, for me is remarkable. It seems like only a matter of time before all three Florida stars really take off — and when they do, the Gators will be even more frightening. It’s a long season, and Florida knows the end game is winning in June, so the key is to build confidence leading into the postseason. O’Sullivan points out that Florida’s schedule has a good chance to finish as the nation’s strongest by season’s end, so it’s important to keep the level of competition in mind. The Gators aren’t going to win every night, and that’s just fine. Florida is just trying to enjoy the ride, and not get caught up in external pressures and sky-high expectations. 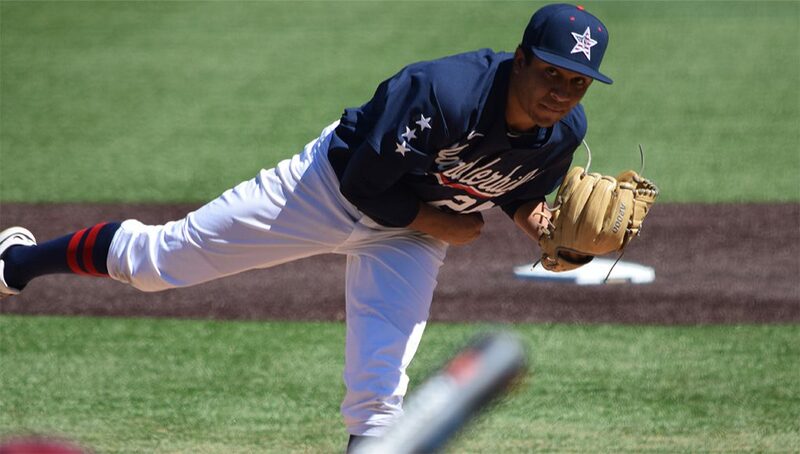 The first six weeks have been full of adjustments for Vandy’s high-profile pitching staff. The weekend rotation is completely new from a year ago, as Carson Fulmer, Walker Buehler and Philip Pfeifer have moved on to pro ball, and John Kilichowski has been sidelined all season with a bit of a mystery arm ailment. Head coach Tim Corbin described it as “bruising” in Kilichowski’s arm back in February; pitching coach Scott Brown said today that Kilichowski “just struggled coming off his throwing program,” but he’s hopeful that the lefty will return to the mound within the next couple weeks. Kilichowski is Vandy’s most experience starter, having made 10 starts in his 17 appearances a year ago, and certainly his return to action would be a boost. Brown said blue-chip freshman fireballer Donny Everett’s return is probably a couple of weeks behind Kilichowski’s, but Everett could give the Vanderbilt bullpen a major jolt down the stretch. He’s been sidelined all year with a torn muscle in his lat area, a significant setback that resulted in a solid five weeks of no throwing at all. Most pitching staffs would be crippled by losing two players as talented as Kilichowski and Everett, but Vandy has adapted ably. Redshirt sophomore flame-thrower Jordan Sheffield has grown into a dependable front-line starter after flashing promise in 22 appearances (six starts) a year ago. Kyle Wright has made a seamless transition from bullpen stopper to co-ace in the rotation. And now the Commodores are trying another former stopper, Hayden Stone, as the third weekend starter (though Saturday’s starter is officially listed as TBA). Sheffield will start Thursday’s opener, while Wright will go Friday. After walking 43 in 60 innings a year ago (.72 walks per inning), Sheffield has done a better job throwing strikes this year, walking 17 in 36.2 innings (.46 per inning). He’s always had premium fastball velocity, and that hasn’t changed, but he’s learned to complement his mid-to-high-90s heater and swing-and-miss changeup with a dramatically improved curveball, an 83-84 hammer with tight spin. Through six starts, he’s 3-1, 2.21 with 51 strikeouts and a .204 opponents’ batting average. Brown said he did a great job in the first month of getting ahead and putting himself in leveraged counts, which is when he’s at his best. He fell behind more in his two SEC starts, issuing five walks in each of them, though he did a better job pitching out of trouble against Mississippi State two weeks ago. Regardless, his development has been a major bright spot for the Commodores. Wright, a preseason All-American after posting a 1.23 ERA in 58.2 innings last year, has proven to be very well suited for a starting role. In six starts, he’s 4-0, 1.37 with 35 strikeouts and eight walks in 26.1 innings. Brown said his velocity has taken a jump from a year ago, when it was mostly 89-92. he added a lot of strength in the offseason, and now he’s pitching at 92-94, occasionally touching 95-97 in the early innings. The key for him is to locate from the onset of his starts — if you don’t get him early, you may not get him at all. And all those pitches are legitimate. By the time he’s a junior, Wright might have the deepest arsenal of any college pitcher since Trevor Bauer. His cutter was his go-to out pitch last year, often looking more like a slider with real depth at 84-85, but other times looking more like a true cutter with shorter movement at 86-88. His curveball has real power, like Sheffield’s, at 79-83 mph. And his changeup is coming along nicely too. Stone, like Wright, was the go-to reliever for a CWS Finals team as a freshman, and then he missed all of 2015 with Tommy John surgery. His stuff has mostly come back, but like most Tommy John survivors, it is taking some time for his normal command to return. But Brown and Corbin think working in a starting role might actually expedite that process by allowing him to find his rhythm. He was repeatedly extended for five or six innings as a freshman anyway, so it’s not a matter of endurance. And his three-pitch repertoire should play in a starting role, too — he still has that wicked swing-and-miss slider (though it can look a bit more like a curveball at times when he gets on the side of it), he still has the low-90s fastball, and he still has a solid changeup that he’ll mix in from time to time. So Ruppenthal is one of of Vandy’s big guns at the end of the game. Going forward, the other big gun figures to be lefthander Ben Bowden, who made five starts this year but has now shifted back to the bullpen. His aggressive approach plays very well in that role. On its best teams, Vandy has had that guy who can enter in a tight spot in the fifth or sixth inning and take the Commodores to the finish line. It was Stone two years ago, Wright last year. Now, the ’Dores might have two of those guys in Ruppenthal and Bowden. And when the Commodores get back to full strength on the mound, they’ll have even more weapons. But for now, Vanderbilt has more than enough pitching firepower to hold even an elite offense like South Carolina in check this weekend. But this will be the greatest test yet for this retooled Vanderbilt staff, because the Gamecocks are one of the nation’s most dangerous offensive clubs. It should be a fun weekend in Nashville. 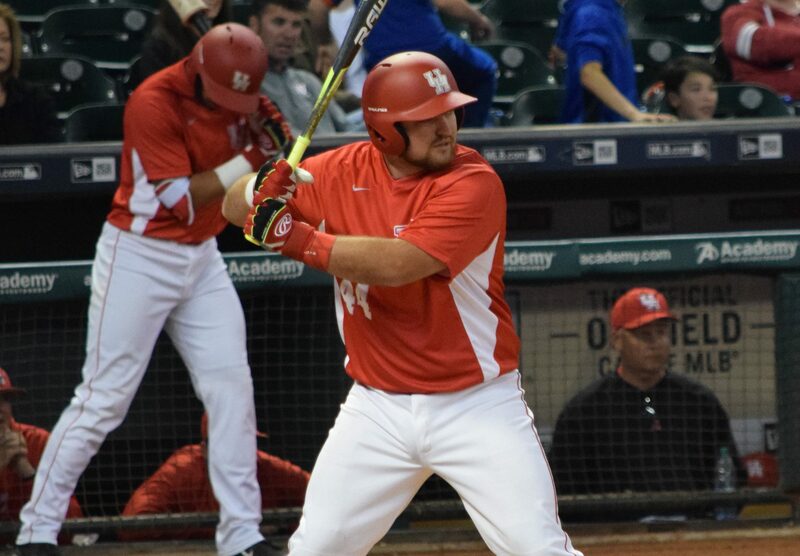 Houston coach Todd Whitting knew it wasn’t going to be easy, but his Cougars finally seem to be showing strong glimpses of why they entered the season with such high expectations with a series at No. 19 East Carolina on tap this weekend. The Cougars made waves last season by assembling an impressive overall record and hosting an NCAA regional. So, naturally, with the return of starting pitchers Andrew Lantrip and Seth Romero, among others, they entered the 2016 campaign again expected to do some special things. Then, the Houston College Classic arrived. There, the Cougars had planned to announce their prowess on the national stage with a powerful showing. Instead, they entered the tournament with Romero on the shelf because of team discipline issues, along with a variety of injuries. The result? The Cougars finished that weekend with an 0-3 mark and looked discombobulated in the process. Whitting was disappointed at the time, but also well aware the season is a marathon, and he’d get some of his injured guys back in due time. Sunday of the tourney, he was still unsure of Romero’s status. Much has changed since that point. Though the Cougars ended up having a five-game losing streak, they seemed to turn things around after a series-opening loss to Baylor. UH scored 21 runs the final two games against the Bears, and responded to those triumphs with a road series win over Alabama the next weekend with Romero returning and striking out 11 Crimson Tide hitters in six innings. He’s been dominant since his return, and with he and Lantrip as a big-time one-two punch, it’s no surprise that confidence gained has led to the Cougars winning 12 of their last 15 contests, with two of those setbacks coming against red-hot Rice and top-ranked Texas A&M this past Tuesday. “Getting Romero back into the weekend rotation has helped stabilize things quite a bit, and it’s interjected some energy into the team,” Whitting said. “Corey [Julks] is playing some and wasn’t healthy the first couple of weeks, and getting Josh [Vidales] back really helps. You insert those two guys into your lineup, and you’re good. Vidales still isn’t where he needs to be offensively because of his hand, but he’s still changing games with his defense. There’s just an excitement around this team about getting those guys back in the lineup. Romero has struck out 39 in 31 innings and has a 0.58 ERA in 31 innings of work, while Lantrip, a righthander, has been dominant with a 1.69 ERA in 42.2 innings, along with 44 strikeouts. The Cougars also like the depth that Nick Hernandez and Trey Cumbie have provided out of the bullpen, while another righty, hard-nosed veteran Bubba Maxwell, continues to be solid since his return from Tommy John surgery. Offensively, catcher Connor Wong and Joe Davis continue to be big-time threats, with Davis one of the more interesting payers around the country to watch. Davis has a husky build and a powerful approach, but he possesses advanced bat control and approach with just 10 strikeouts so far this season, along with a .396 average, six homers and 31 RBIs. The Cougars also have been pleased with third baseman Justin Montemayor, who has been known for his defensive skill set during his four years with the program, but who has improved his batting average form .176 last season to .289 so far this spring. “To me, [Justin] he is the leader of our team in the clubhouse and on the field. He’s just picked up where he left off last season defensively, and his numbers don’t even do justice to the type of year he’s had offensively thus far,” “Whitting said. “He’s the same guy, but this year, his approach isn’t that he’s going to find ways to get himself out, he’s forcing pitchers to get him out, and he’s trying to create something. Coach [Greg] Evans has done a great job with his approach and mentality. The Cougars will need to put all those pieces together on the road against the Pirates. And though Whitting and UH aren’t thinking about the postseason prognosis moving forward, they have a lot of work to do to emulate last year’s regional host with an RPI of 63 and a 1-4 mark vs. RPI Top 50 thus far. What once seemed like a bleak season might be ahead suddenly looks rather promising, just as we expected.